Supercar manufacturer Koenigsegg, whose production has maxxed out its facility, and Chinese carmaker NEVS have agreed to build a new "entry-level" supercar. The cost will be only $1.5 million. If you are the typical motorhead, then you probably remember a few years back when Koenigsegg made its foray into the supercar world and then later when it did it again. The results were the Agera and the Regera. Each is hardly a mass-market product. And, now, according to Cristian von Koenigsegg, chief exec, the automaker is changing its product strategy as it is about to add an “entry-level” supercar to its lineup. The new model, to be built with China’s NEV, should increase the specialty automaker’s volume from its current 20 per year to hundreds per year. Saab's Owner Buys Stake In Koenigsegg. The current amount leaves many buyers out in the cold waiting for their models to be scheduled and built. It’s not uncommon for customers to find themselves on multi-year waiting lists. The planned model certainly won’t be a replacement for either of the company’s supercars. However, it will certainly move the needle and push the automaker into more of a “mass market” mode. The new “mass-market supercar” will be a hybrid. It won’t replace the aging Agera or Regera in the Koenigsegg lineup. At $1.5 million a copy, it is the Koenigsegg equivalent of the “mass-market supercar.” The new hybrid uses an internal combustion engine (ICE) developed by the manufacturer, while NEV is developing the green piece. The replacement of the Agera or Regera is under development, at the moment. The new vehicle will likely debut in 2019 at the Geneva Motor Show. Koenigsegg To Roll Out "Low-Cost" Supercar; If $1.5 million is low cost? In discussing the need for a new model, Koenigsegg told Top Gear that “our brand has outgrown our production [facility] volumes by quite a margin. He also noted that the new “entry-level” supercar will still cost a whopping $1.5 million. The new supercar features a new engine technology that has been under development by the Swedish supercar manufacturer for some year: free-valve cam-less engine tech. A hybrid system that reportedly is CO² neutral will be used with the new ICE. Koenigsegg and NEVS entered into their strategic agreement which created a joint venture to develop a vehicle for “untapped segments, leveraging both of the companies’ strengths.” According to the agreement, NEVS holds a majority position n the new joint venture. The Chinese firm also bought a minority interest in Koenigsegg. In return, the Swedish supercar manufacturer gains access to NEVS’ Swedish production facility. The site is the former Saab headquarters in Trollhattan, Sweden. NEVS purchased the remainder of Saab, roughly eight years ago, after General Motors dropped the Saab nameplate during the automaker’s bankruptcy. 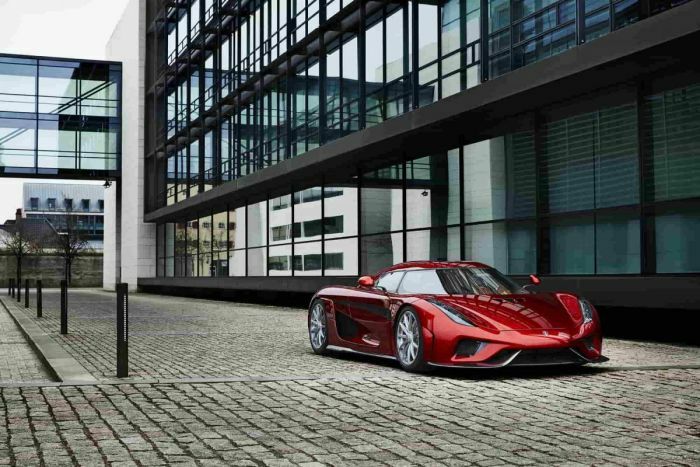 The Koenigsegg CEO noted that the new vehicle would look like a Koenigsegg. However, he emphasized, there are some significant differences in the powertrain format. Expect the debut of the new model sometime in 2020.